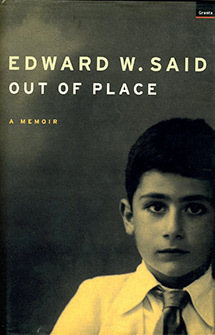 Prominent author, professor, and Palestinian advocate, Edward W. Said was one of the foremost cultural critics of the postwar world. He wrote extensively on history, politics, literature, music and philosophy. Born in Jerusalem in 1935 and educated in Egypt and the U.S., he received his BA from Princeton, and his MA and PhD from Harvard, where he became Visiting Professor of Comparative Literature in 1974. He subsequently taught at Stanford and Princeton, and in 1979 became Visiting Professor of Humanities at Johns Hopkins. He was a University Professor of English and Comparative Literature at Columbia University. Active until his last months, he died in 2003 after a decade-long battle with leukemia. Said's work has been translated into 24 languages and published throughout Africa, Asia, Australia, Europe and the U.S. His writings include, among others, Orientalism (Pantheon, 1978), a runner-up in the criticism category for the National Book Critics Circle Award; Beginnings: Intentions and Method (Columbia University Press, 1986), winner of the first annual Lionel Trilling Award, given at Columbia University; The World, the Text and the Critic (Harvard University Press, 1983), Culture and Imperialism (Knopf, 1993), and Peace and Its Discontents: Essays on Palestine in the Middle East Peace Process (Vintage, 1995). Most recently, he has written Out of Place: A Memoir (Knopf, 1999), which Kirkus Reviews calls a "beautiful and moving account that stands on its own as a classic in the art of memoir and as a key to understanding the genesis of Said's intellectual work."